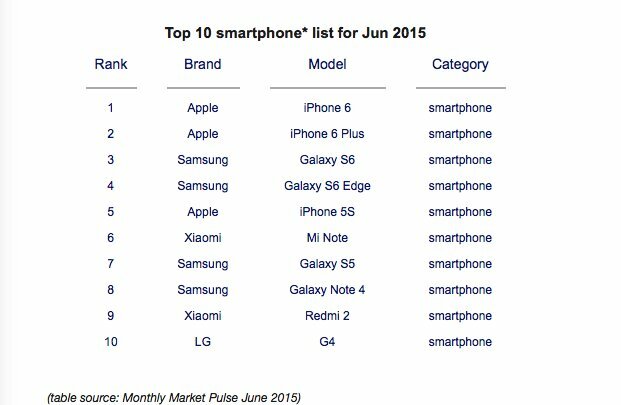 Apple's iPhone 6 has remained the top selling smartphone for ten months in a row, with sales actually increasing in May, blocking Samsung's flagship phone from taking the top spot for the quarter. According to a report by Counterpoint Research, iPhone 6 has dominated sales in every quarter since its launch in September 2014. In previous years, Apple's iPhone has consistently taken the top sales spot after its launch during the Christmas holiday quarter and first calendar quarter of the year (during which China's Lunar New Year has increasingly provided a second sales bump for Apple). This year however, Apple has beaten back Samsung from retaking the top sales spots in the second calendar quarter, during which its South Korean handset rival has historically launched its own Galaxy S flagship. Counterpoint noted that Samsung's "highly anticipated Galaxy S6 Edge was plagued with supply issues in the first month and now suffers from its high price tag - quickly losing its flare as a consequence," adding that Galaxy S6 sales have been "declining since its launch in April." The group stated, "Apple on the other hand has enjoyed steady sales and now rebounds as promotions from mobile operators help spur demand." Counterpoint added, "Apple iPhone 6 is the bestselling smartphone in the US and the iPhone 6 Plus is the bestselling smartphone in China currently. 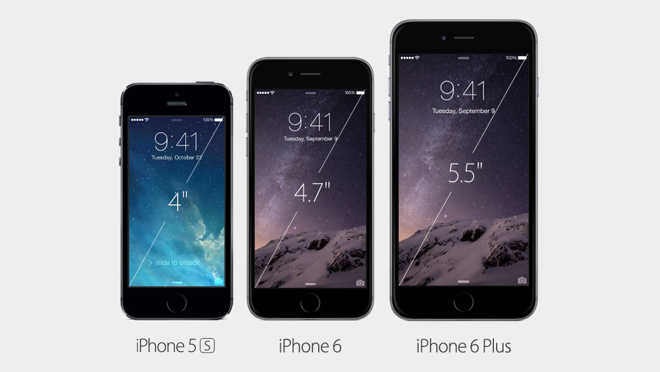 China proves to be the largest market for iPhone 6 Plus showing the Chinese love for large screen devices." Apple's iPhone 5s from 2013 took fifth place in June, edging out new flagships introduced by Xiaomi and LG and continuing to outsell Samsung's earlier Galaxy S5 and Note 4, both of which were introduced last year. Samsung has warned its investors that its overall profits for the June quarter are expected to fall 4 percent compared to the year ago quarter; weaker smartphone sales are a major contributor to that decrease. However, "without a major price cut from Samsung it doesn't look like Galaxy S6 sales will be able to top the list this year," Counterpoint observed. "Without any obvious catalysts for Android product sales, we expect 2015 will continue to be an 'Apple year.'" Apple will report earnings later today, while Samsung is scheduled to announce its quarterly earnings on July 30.